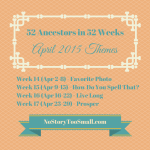 Posted in 52 Ancestors Challenge on February 16, 2015 by Amy Johnson Crow. 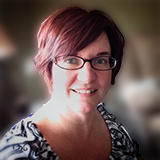 Week 10 (March 5-11) – Stormy Weather. This is the time of year that the northern hemisphere starts to see severe storms. (As if the blizzards in New England this winter haven’t been bad enough!) What ancestor endured a particularly severe storm? It could be something like a tornado or blizzard or it could be a “storm” of bad things. 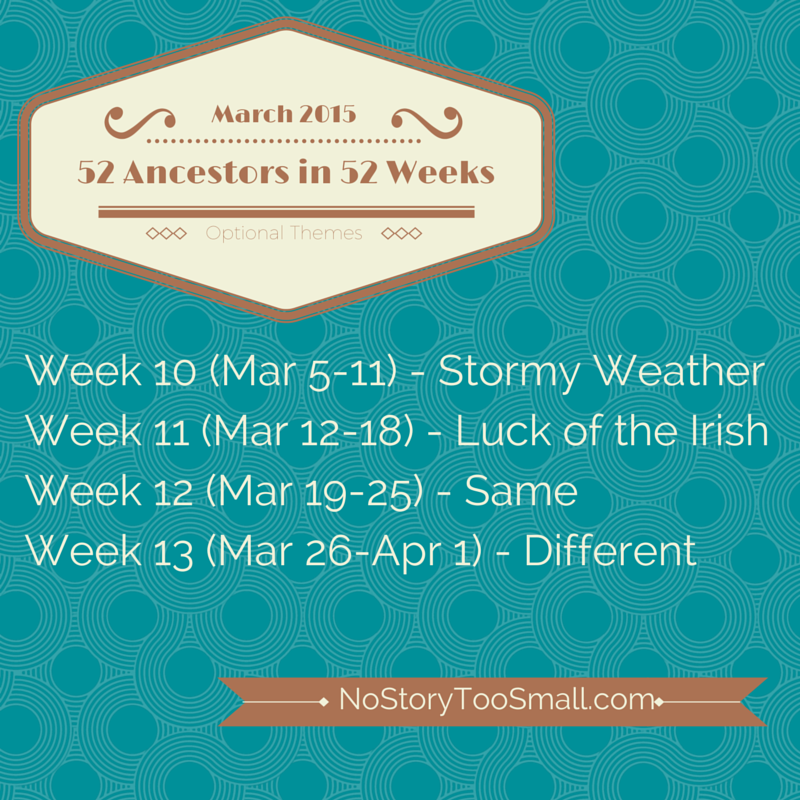 Week 11 (March 12-18) – Luck of the Irish. Do you have an ancestor who seemed particularly lucky? Do you have a favorite Irish ancestor? This is their week. Week 13 (March 26 – April 1) – Different. 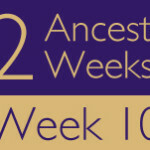 What ancestor seems to be your polar opposite? What ancestor did something that seems completely different than what they “should” have done or what you would have done? The weekly recaps will continue to be posted on Thursdays; you can add your links then. I look forward to seeing your posts!